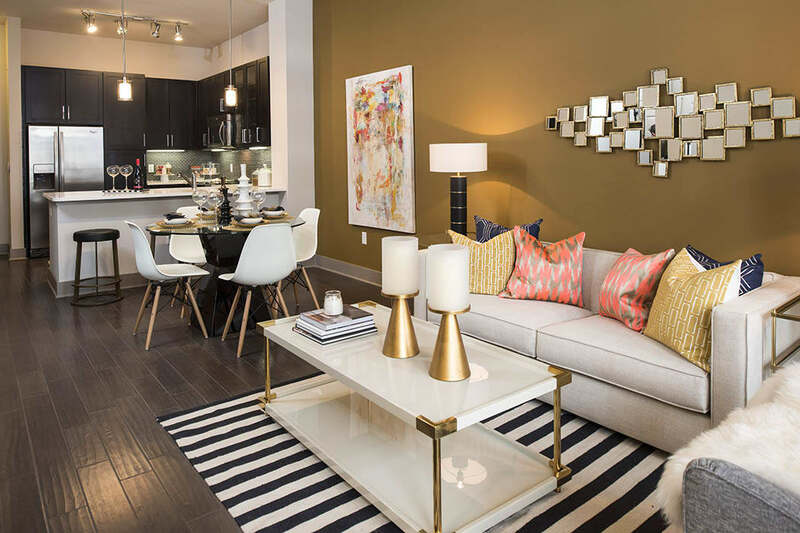 Experience the best of high-end apartment living at Anthem CityLine. We are excited to offer stylish one, two, and three bedroom apartments for rent in Richardson, TX. With a variety of spacious floor plans available and a wide array of design-forward upgrades, you can choose the living space that suits your lifestyle. 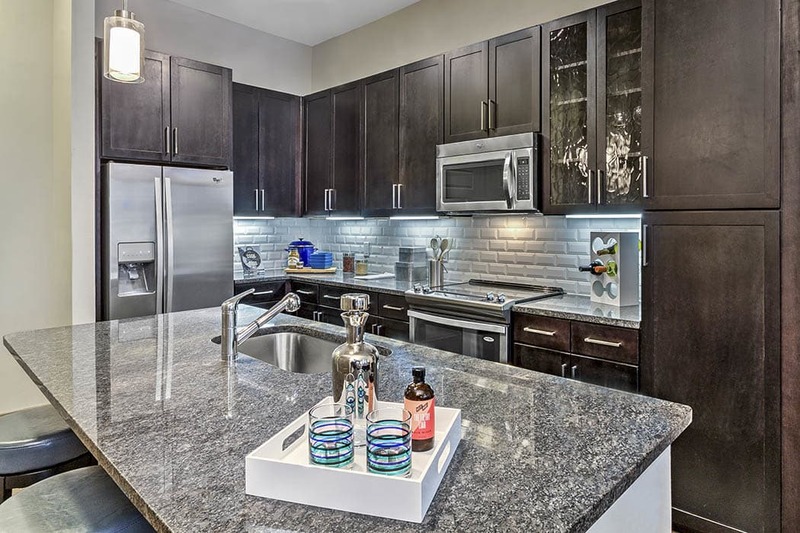 Whether you’re an employee at one of the tech companies in the Telecom Corridor, college students at University of Texas Dallas, an active family, or anyone in between, we have an apartment home to fit your needs. As soon as you enter your luxury apartment, feel yourself relax. Your gourmet kitchen is oversized and boasts gorgeous granite countertops and sophisticated custom cabinetry. In addition, we provide stainless-steel and energy-efficient appliances to elevate your cooking and home dining experience every day of the week. Each of our homes offers handsome hardwood-style flooring, a beautiful touch sure to complement your unique aesthetic. A spacious walk-in closet in the master bedroom and a full-sized in-home washer and dryer in some units will keep your wardrobe and living space clean, organized, and clutter-free. Come evening, pour a glass of sweet tea or a pint of craft beer from Four Bullets Brewery and enjoy it on your private balcony or patio overlooking our beautiful metropolis. Embrace the life you deserve in North Dallas. Contact the professional team at Anthem CityLine to schedule a walkthrough of our one, two, and three bedroom Richardson, TX, apartments for rent today.